Embellishing the walls of castles, churches and wealthy homes with impressive and colorful tapestries has been a tradition in the Scandinavian countries for centuries. Unlike Norway and Sweden, Denmark does not have a long and unbroken tradition of tapestry weaving going back to the Middle Ages. In the second half of the 19th century, during the style period of national romanticism, two professional tapestry workshops were set up, one in Copenhagen and the other in the North of Zealand. They were inspired partly by the Manufacture des Gobelins in Paris and partly by the British tapestry workshops of the Arts and Crafts Movement. The tapestry workshops were established in order to decorate the newly erected Town Hall of Copenhagen and the Frederiksborg Castle with woven tapestries. A number of young women, the majority of whom were sisters and daughters of well-known painters, were sent abroad to learn tapestry weaving, thereby creating a new female job opportunity. The designers of the cartoons for weaving were mainly painters who did not weave. These two tapestry workshops closed in the beginning of the 20th century after having fulfilled their mission. In Denmark today, the art of tapestry is still employed for wall decoration in various venues, for example, city halls, hospitals, corporate offices and public libraries. 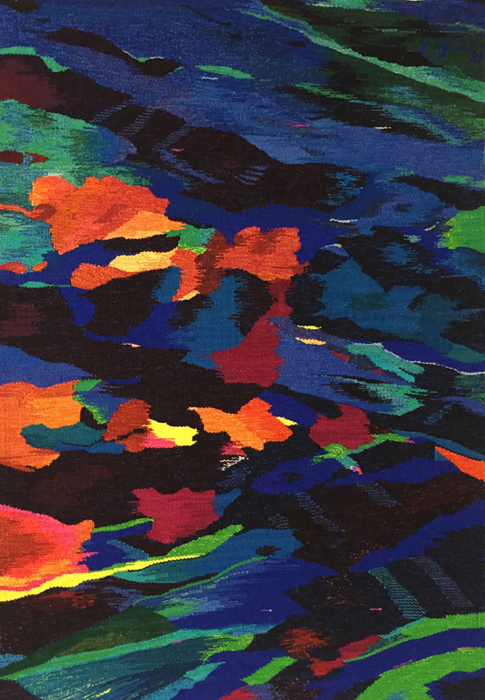 Most contemporary tapestries are produced by independent artists who choose the motifs, create the cartoons, dye the yarns and weave the artworks at their own looms in their own workshops. The only thing that has not changed since the 19th century is the fact that tapestry weaving in Denmark has remained an almost 100% female occupation. 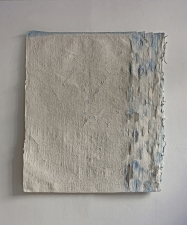 Textile art went through a revolution in the early 1960s with the Lausanne Biennales, where the main emphasis was placed entirely on experimental work in three dimensions, a trend which was closely connected to the development in the other visual arts. 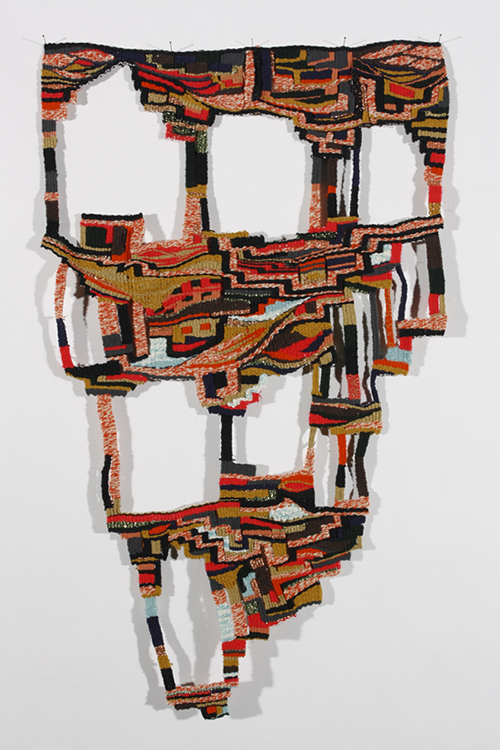 The individual textile artist acquired a new lease on life during those years. International recognition was attained by Magdalena Abakanowicz and other Polish artists whose work broke away from the wall and developed into freestanding sculpture. In Denmark, a young generation of weavers reasserted their right to personal creation and gave more precise expression to this claim. Thus, textile art was no longer the skillful reproduction of designs thread by thread, but had become a matter of unique works by individual artists who wove their own designs, and its representatives claimed parity with other fine arts. 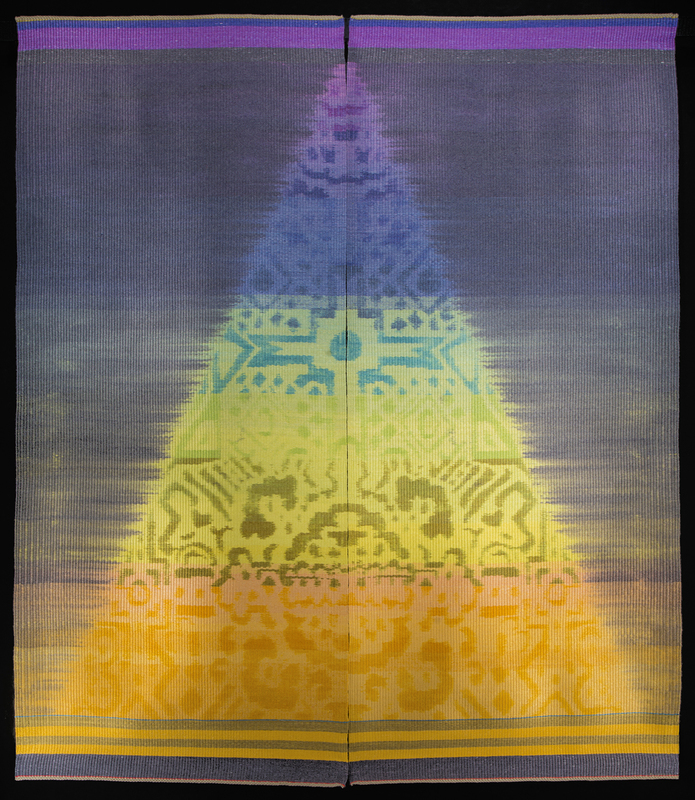 With a few exceptions, tapestry as an art form became less visible in Denmark during the 1980s, which must be regarded as a period of stagnation. Limited financial support due to a decreasing number of commissions brought the art of tapestry into a difficult situation. It must be pointed out, however, that through this decade, most tapestry weavers managed to maintain their strong dedication to the loom, not least thanks to artist led initiatives such as The Nordic Textile Triennials (NTT), which were held from 1974-1996. The NTTs were juried, traveling exhibitions organized and managed by groups of textile artists in each of the six Nordic countries. Though the NTTs were open to all artistic techniques and expressions within the textile medium, a large number of the artworks shown at the exhibitions were, in fact, tapestries. 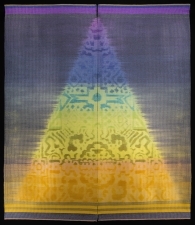 In Denmark, as I see it, the majority of contemporary tapestries, produced during the last 15 years, belong to one of the two following categories: tapestries with a point of departure in non-figurative modernist art in which geometric forms or abstract patterns form their subject matter; or tapestries in which the motifs are based on inspiration from nature. As the first mentioned tapestries are clearly inspired by international movements of art, they can hardly be characterized as specifically Nordic or Danish in their expressions. 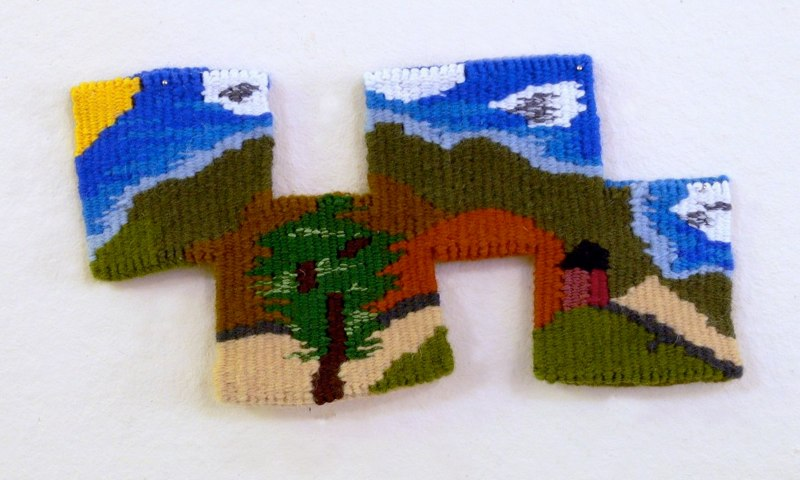 The second group of tapestries, however, reflect directly and indirectly the surroundings where the weavers grew up or where they live currently. It has been my intention to curate an exhibition of tapestries that relate to the Nordic landscape and seascape and to their connected history and myths. The artists represented here are united by their respect for the integrity of weaving, but there the resemblance ends. Some of them reflect their subject matter in potent realism, others let the woven surface blossom in vibrant natural lyricism and others compress emotional experiences into subtle symbols. It is my sincere wish to stimulate interest in the weavers’ work by presenting them together in the show entitled Over the Sea, Under the Sky. I am very grateful to the eight tapestry weavers presented here for their enthusiastic cooperation. Many thanks also go to ATA member Janet Austin, tapestry weaver and librarian, who has most kindly and indefatigably proofread all my written material and patiently turned my “Daneglish” into proper English.